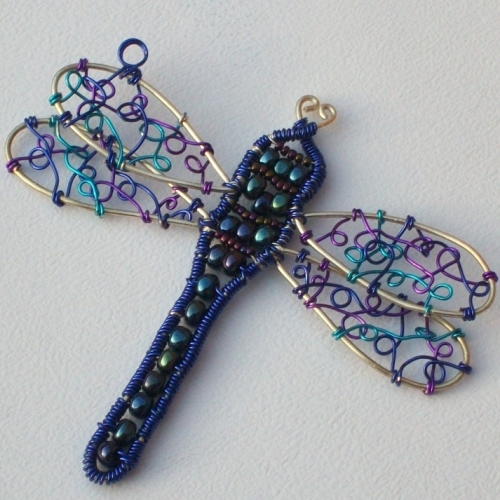 Unique wire wrapped dragonfly pendant. 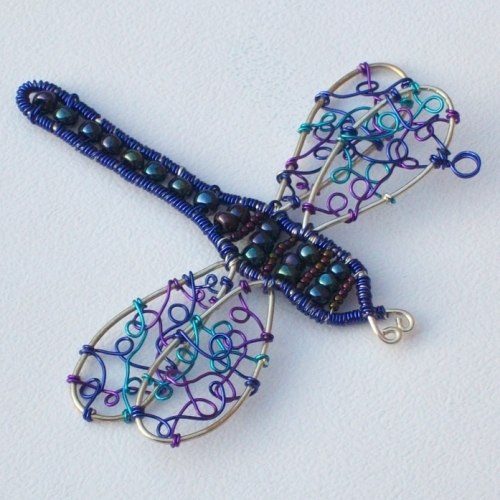 Handmade using metallic seed beads and navy, bright blue and purple enamel coated wire. 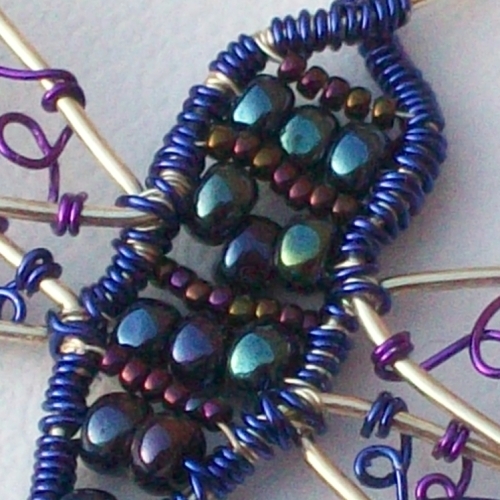 The body is made of rows of large metallic blue beads through the tail secion, with rows of tiny metallic brown beads in between them in the main body. 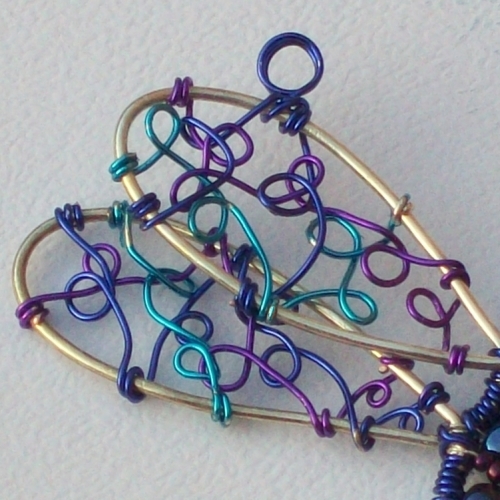 The wings are made using coloured wire. This large pendant is 7.5cms long and 8cms wide.